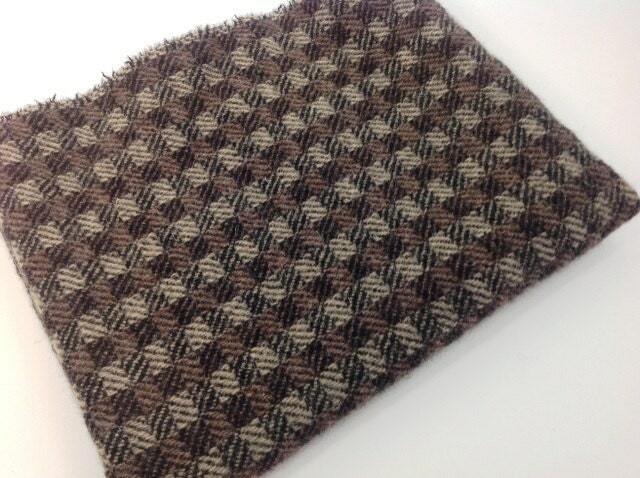 This listing is for a mill dyed 100% wool fabric in a checkered texture with black, soft brown and light gray. This wool has been washed and dried by me to make it perfectly ready for rug hooking, applique, quilting and many other sewing projects. 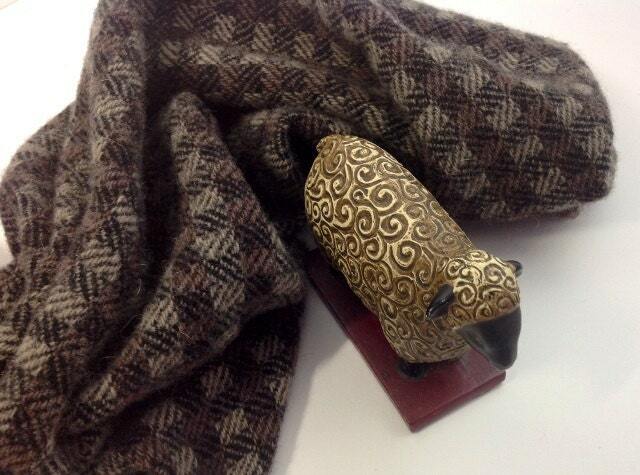 It is a medium weight and has a soft fluffy woven feel to it. 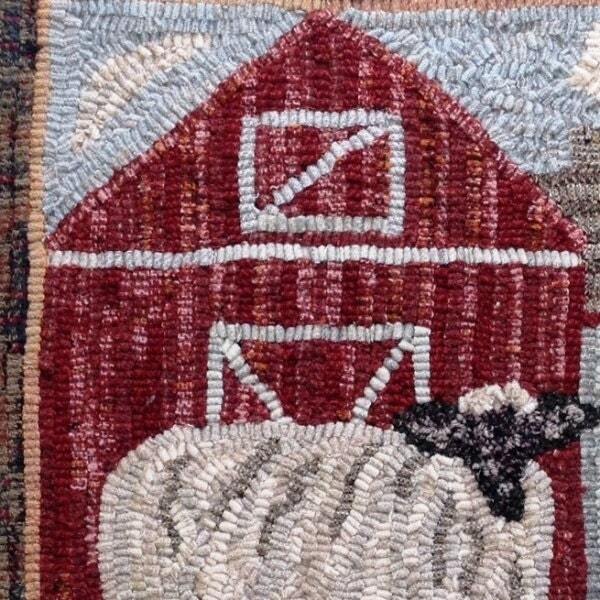 Because of its loose weave, in rug hooking it is suitable for primitive cuts of wool, #8 and wider. In the drop down box choose the size to fit your need. The first two photos show the size of the fat quarter. What a fun piece!! A must have for your stash. Black, gray and brown combine to make a checkered texture that will come in handy for so many projects. Use it for animals of all kinds, especially chickens, sheep, birds, dogs, cats. Add it to any dark background to instantly age your project. Can you see mountains, tree trunks, plowed fields, baskets or a fun beauty line? It's ready for rug hooking, applique, penny rugs, quilts, pin cushions, pillows, and so many other sewing projects and craft projects. Thank you for visiting and please feel free to contact me if you have questions. Fantastic quality and color of this wool. I just love it and am very happy with this purchase. THANK YOU! Love this color and pattern. Nice wool. Easy to work with. Item was as posted. Quick shipping.